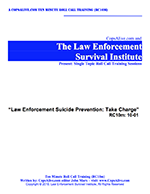 Have you read the 458 page softcover resilience textbook: Armor Your Self: How To Survive A Career In Law Enforcement and want to learn more? The Armor Your Self™ project is a powerful concept that will begin building the foundations of law enforcement health and wellness for your personnel, your families and for your organization. The program is taught as a Resilience Research Learning Laboratory with all the participants researching, discussing and learning information that is specific, and important to them. 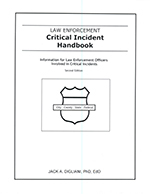 Each participant receives a copy of the 458 page softcover resilience textbook: Armor Your Self: How To Survive A Career In Law Enforcement by John Marx (a $24.95 value). Participants will find the tools they need to recognize the symptoms of the toxic effects, and hidden dangers, of a career in law enforcement. John Marx and Chaplain Cary A. Friedman invite you to join us for a new online discussion about modern policing as part of our Tactical Resilience™ & Ethical Policing Project. We want to ignite a thoughtful, and regular, discussion about issues critical to the success of modern policing and we want to involve you! To that end we are planning regular webinars that will last about an hour. They will involve a little discussion, a little training and a few guests along the way. What should we be teaching the next generation of cops to save them from what you’ve experienced? If you could teach a rookie cop one thing to save them a lot of anguish what would it be? If you could go back in time and advise yourself about the important things that you know now about this job – what would they be? Our first online session will be LIVE on Thursday January 31st at Noon Eastern time. Space will be limited to the first 100 people who register in advance. Is Our Police Culture Causing Suicides? It’s National Suicide Prevention Week again (September 9th – 15th, 2018) in the United States which is a week-long campaign to inform and engage health professionals and the general public about suicide prevention and warning signs of suicide. 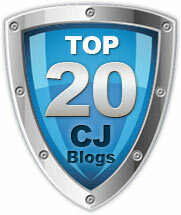 I lost one of my law enforcement friends to suicide in 2007 and that’s what prompted me to start CopsAlive.com. In my opinion, law enforcement suicide is a symptom of what ails our profession, and it should be an priority issue to resolve — but it hasn’t been. How do you handle that one guest that just will not leave? I recently heard a definition for what trauma is. Trauma was defined as: when you leave the scene, but the scene does not leave you. That definition resonated with me. How many calls did I leave that did not leave me? I know we all have scenes and calls that have not left us. Some are years old. Some are obvious. The larger scenes and the obviously tragic calls stay with us. It is expected. In my department, certain calls are expected to cause trauma such as an officer involved shooting or a line of duty death. What Can We Do To Better Help One Another? I read two very interesting articles today and I want to hear your opinion. The second as an article posted by the National Center for PTSD entitled Help Someone You Love on PTSD Awareness Day. (Today is National PTSD Awareness Day – see below for links and resources). I’d like you to read both and then share your comments here about how we can better serve our brothers and sisters behind the badge. We should not have to Suffer In Silence! Over the past 18 years it has been my privilege to design and provide training for law enforcement officers in Spiritual Survival. My training addresses a very specific aspect of the law enforcement experience: the spiritual dimension. Spiritual Survival training is, I believe, a crucial aspect of training to help officers successfully negotiate the challenges of a law enforcement career. The goal is to help officers recognize and acknowledge the noble idealism and integrity within the human spirit that brings them into the career. It is this human spirit that can keep them devoted to their law enforcement mission, with all its challenges, disappointments and difficulties. My aim is to help them identify the toxins that daily deplete and exhaust their spirit, equip them with tools to nourish and replenish their precious idealism and integrity, and renew their commitment to faithful performance of their law enforcement mission. Often, when police chiefs hear that I offer training for “Spiritual Survival,” they reassure me that their agencies already have chaplaincy services, so their agencies don’t need the spiritual survival training I offer. That’s when I gently explain that the two support structures, chaplaincy and Spiritual Survival training, are not the same. Chaplaincy services inspire strong reaction – avid advocates and suspicious detractors. A common story among law enforcement executives tells of a skilled, dedicated chaplain who intervened to save a cop in distress; others regale me with anecdotes of chaplains who overstepped their bounds and trespassed into the realm of proselytizing. But in all cases I unequivocally assure law enforcement executives that Spiritual Survival training is not equivalent to chaplaincy. Indeed, chaplaincy and Spiritual Survival training both support officers and agencies, and ought to be complementary. But they each have profoundly different goals. Police Peer Support: Does it work? EDITORS NOTE: This article was submitted by CopsAlive longtime contributor Dr. Jack Digliani and it is of particular importance because I believe he has created one of the first and certainly most thorough evaluations of Proactive Peer Support programs ever conducted. Jack is truly one of the world’s preeminent promoters of effective law enforcement peer support and how to properly train for it. READ this article, visit his website, and use his free materials that are available here on CopsAlive and also on his site. If you haven’t had Jack conduct a training program for your agency yet, you are truly missing the best! 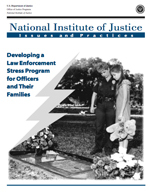 Peer support teams within law enforcement agencies have existed for many years. Although many law enforcement officers and police psychologists have advocated for peer support programs, there has been surprising little research providing evidence for the efficacy of peer support. To gather information about the use and outcome of agency peer support, the peer support experiences of employees of three northern Colorado law enforcement agencies, Fort Collins Police Services, Larimer County Sheriff’s Office, and Loveland Police Department, were assessed utilizing the Peer Support Team Utilization and Outcome Survey. The peer support teams of each agency are well established, similarly structured, and function under the oversight of a licensed mental health professional. Each member of the peer support teams was initially trained within the Police Peer Support Team Training program. The applied methodology for Survey distribution and collection produced a return of 644 surveys. This represented approximately 77.9% of the survey-eligible population. Of the 644 surveys collected, 631 were returned completed (76.3% of the survey-eligible population). I believe that law enforcement is the most noble of all professions. I believe that the people who take a job or take an oath to protect and to serve their community in law enforcement should be honored and celebrated for that decision. I believe we should be held to a higher standard. I believe we should be nurtured, supported, encouraged and esteemed for that higher standard. I believe that higher standard is a colossal commitment that should not be accepted lightly. I believe many, many law enforcement professionals are suffering in silence because the burden of service in this profession is substantial and the expectations are monumental. We are the Guardians of the Peace – we are the thin blue line between a peaceful society and anarchy. Who can you talk to when your officer has just had to kill someone in the line of duty? I am the proud wife of Sergeant Dave Barron and admire my spouse and all other Law Enforcement Officers and their families. Dave has been on the Evansville Indiana Police Department (EPD) for 27 years and will be retiring March 2018 and it’s a little bitter sweet for me I must say. I want you all to know this life is not always easy but I wouldn’t trade it for anything. Support each other, you are stronger and more resilient than you even realize.